We’ve all heard the saying that you have to “go slow to go fast,” but what exactly does it mean? As riders we often long to ride our machines faster. The allure of motorcycling, for many, is not just the freedom and the camaraderie it provides, but also the thrill of speed. Many of us ride because we like to go fast. But how do we go about riding faster without pushing beyond our limits? I’m not advocating speeding or racing on the street. I’m talking about making general improvement in your overall riding pace. 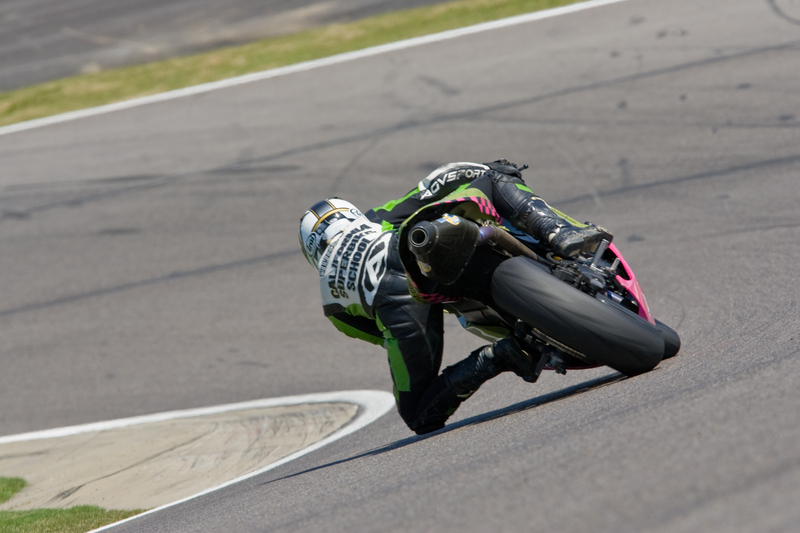 If you want to really wick up the pace then do a track day or riding school. Trying to go fast or setting out to specifically “ride faster” rarely produces the results you are looking for. Instead of making you better or faster, trying to ride fast often produces sloppy results. When you set out with the intention of riding fast, or you try to keep up with someone that is considerably faster than you, you often end up feeling rushed or like you are riding on the ragged edge. Mistakes are made and it can almost feel as if the bike is riding ahead of you and you are constantly trying to catch up. You cannot learn very effectively if you are hanging on for dear life. In this mode you aren’t able to stay relaxed and you may be struggling to even think. You simply go into survival mode. Instead of focusing on trying to be fast, a safer and more effective method is to slow your pace to 70 or 80% and carefully work on mastering the basics. With the basics in order, speed will come effortlessly. In order to change, you have to master a new skill at a pace that you are comfortable with before slowly adding speed. You simply cannot improve when you are trying to do things fast. Take chopping vegetables for example, try to chop quickly right off the bat and you will lose a finger. When learning any new sport or skill it helps to take time to get the feel and the technique right. Then the motions become second nature, they flow and they inevitably move quicker. So how do you know if you are slowing your pace enough to learn the skill? 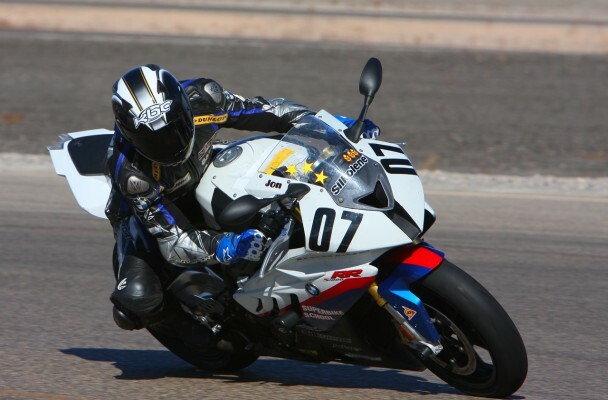 If you feel relaxed and confident with your riding, your throttle control is good, and your lines are consistent, for example, then you can probably begin to add a little more speed to the mix. When you notice however, that you are making mistakes again, charging the corner, running wide, missing an apex or two then it’s time to bring the speed back down, regain your composure and then begin building back up the speed once again. The better you get, the slower it will feel so if you are feeling at all rushed you should back off the pace. It is a matter of going slow enough that you don’t feel scared, and that you can properly learn. 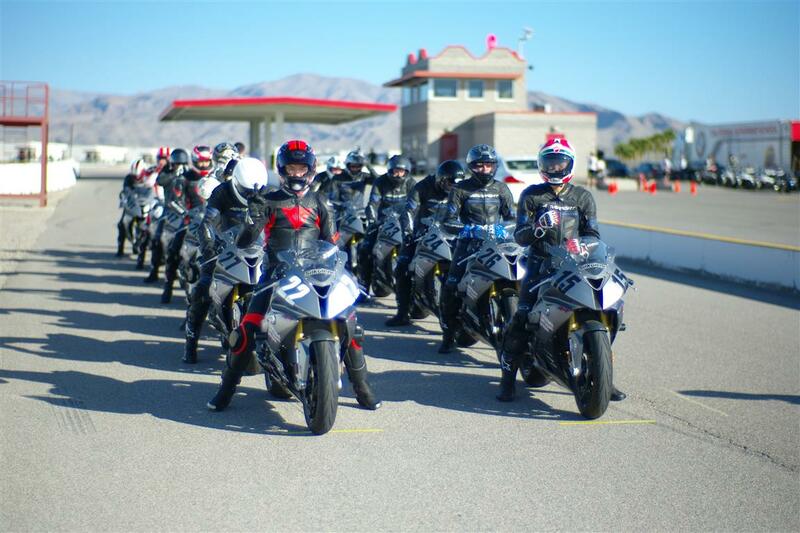 If I have a student at the California Superbike School completely blow a corner and turn way too early and then exit wide for example, I might ask him, “if you entered that corner 10 mph slower, would you still have turned too early and run wide?” The answer is always no, so I may then tell the student to slow down 10mph, take the turn perfectly and then each time round add another 1-2 mph of entry speed. Going fast isn’t about riding on the ragged edge and holding on for dear life. Going fast is about implementing the skills you learned while training and practicing at a lower pace. Once you feel like you are executing a skill well then you can begin to up the pace a little until you begin to feel a little excited or rushed, or even scared. Then back it down again until you are comfortable again and then push it a little bit again. The idea is to push yourself in small increments so that you aren’t riding off the rails or way over your head.